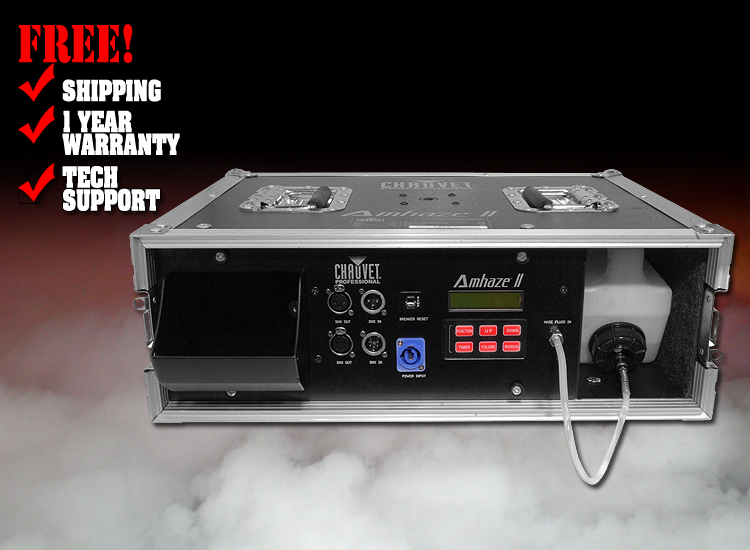 Amhaze™ II is a road-worthy, pro quality water-based haze machine suited for large-scale applications. Amhaze™ II is built specifically to function with the industry's wide variety of water-based haze fluids, and features a durable, low-profile road case to survive the rigors of touring and production. Haze output and speed can be easily adjusted via DMX or the LCD screen, and the unit comes equipped with an M13 threaded insert for hanging in any location.